Family of four walking on a beach hand in hand. Simple, pure and sweet. 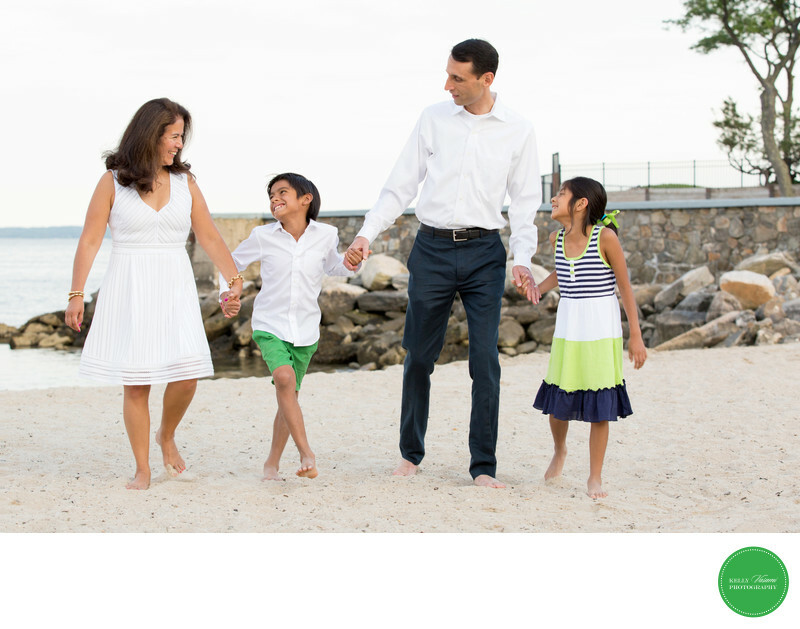 Color coordinated in white, green and navy, this family is camera ready. Mom is stunning in a classic white dress while her daughter is in a colorful and carefree dress. Dad and son are classically handsome in white button down shirts and classic chinos. The color balance is just awesome. Barefoot on the beach, everyone is happy to be together. Each are looking in mom's direction, creating a strong sense of togetherness. Sometimes (well, often) the best photos are when nobody is looking at the camera.